Where are the best places to see the fall colors right now? We've been scouring the internet, looking at photos from viewers and embarking upon our own road trips. Kenosha Pass is on Highway 285 between Grant and Jefferson. Yes, everyone goes here. Yes, the parking lots will be busy. Yes, the trails will be busy. But it's popular for a reason. There are miles and miles of aspen trees and it's easy to take great pictures. And this year, there's a bonus. Photographers taking pictures at Kenosha Pass are finding more orange and red leaves than in years past. 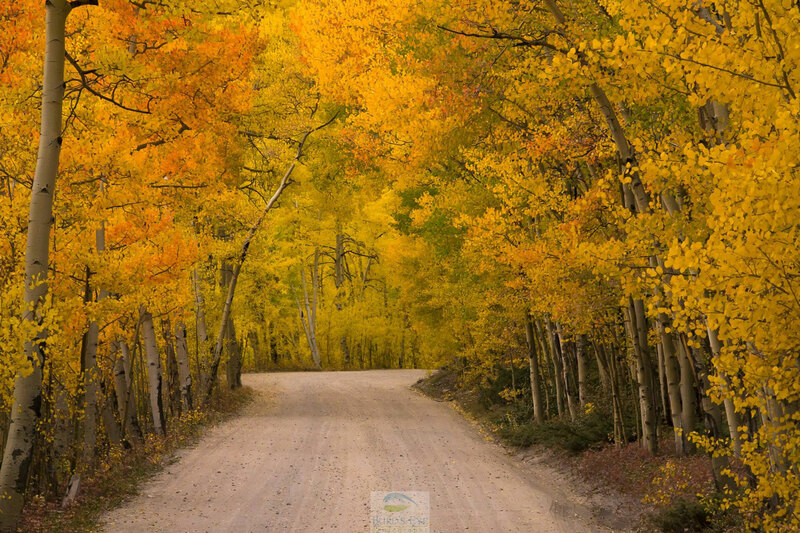 "[We] found the best display of aspen colors in years," said photographer and hike leader Bill Bloomquist. 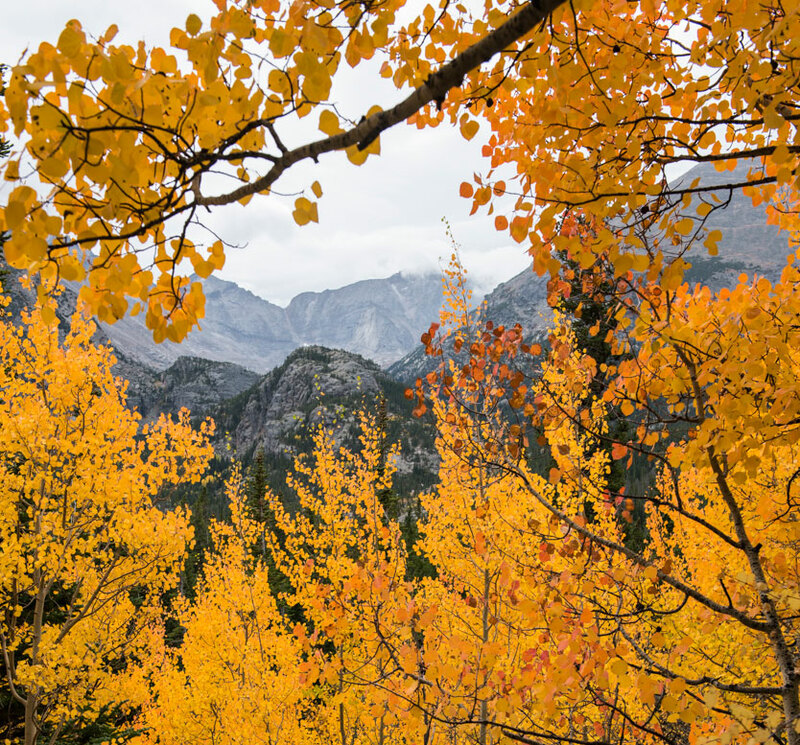 Rocky Mountain National Park is a great choice for fall colors and you can drive or hike to the colors. For drivers, we recommend Bear Lake Road. For hikers, we recommend the family-friendly trail to Alberta Falls and the moderate-to-steep at times trail to Bierstadt Lake (from Bear Lake Road, not Bear Lake itself). However, conditions are always changing, so stop at the Visitor Center and ask a ranger for their advice. "The colors could not be more beautiful right now up in Rocky Mountain National Park," photographer Marsha Hobert said. Guanella Pass between Georgetown to Grant is now paved and easier than ever for drivers looking for fall colors. 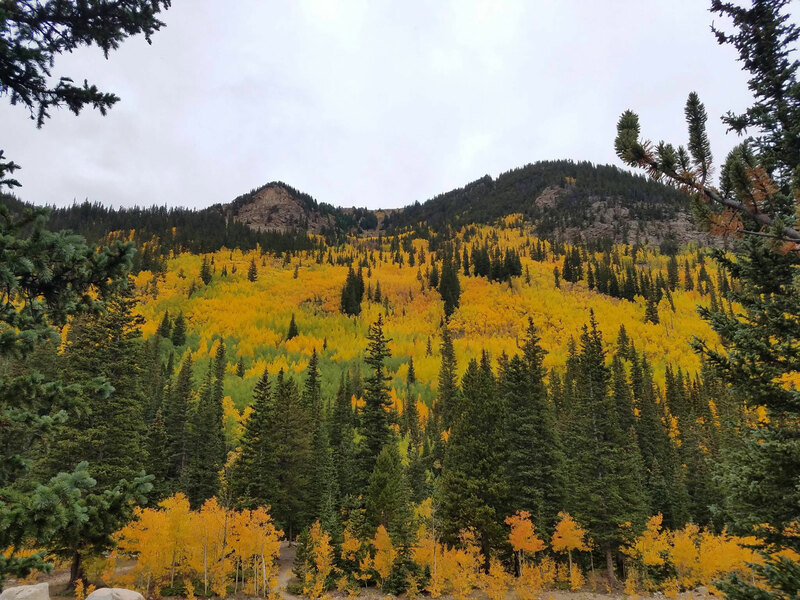 "The leaves are looking nice up on Guanella Pass Road," William Samders wrote on the Denver7 Facebook page. If you want to take a hike, consider the Threemile Trail on the south side of the pass. Many Coloradans flock to sections of the Peak-to-Peak Highway between Rollinsville and Allenspark every fall, especially Highway 72 between Nederland and Ward. You'll find lots of great pull-outs with a view of the colorful aspens next to the highway and up the nearby hillsides. "I have been all over the state in the last couple of days," said Irene Karten. "The aspens are extraordinary this year." Boreas Pass (Park County Road 33) is the pass between Breckenridge and Como/Highway 285. Prospectors came here in the 1800s for gold, now visitors come here in search of gold leaves. Get a driving tour brochure on the Forest Service's website . WANT A GREAT DRIVING TOUR? Consider driving Highway 285 to Kenosha Pass. Then take Highway 285 to Como and take Boreas Pass to Breckenridge. From Breckenridge, take Highway 9 to I-70 and take I-70 east toward the metro area. At Georgetown, you can take Guanella Pass back to Highway 285. Or take I-70 to Central City Parkway, take the Central City Parkway to Black Hawk, take Highway 119 to Highway 72 (Peak-to-Peak Highway) and drive as far as you'd like before returning back to the metro area. 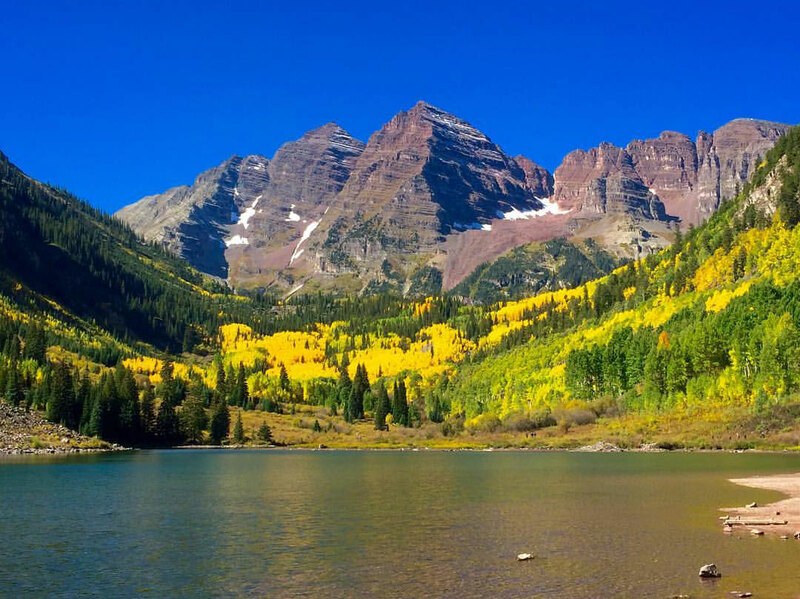 Ok, this isn't close to the metro area, it's near Aspen, but it's "the shot" many Coloradans and visitors want to take -- the impressive twin mountains of the Maroon Bells with the changing colors and Maroon Lake in the foreground. You can only drive to Maroon Lake before 8 a.m. and after 5 p.m. During the day you have to take a shuttle bus and there is a fee. Learn more here . Steamboat Springs, Elk River country north on County Road 129. Also, check the view on Rabbit Ears Pass and Buffalo Pass east. Boreas Pass between Como and Breckenridge, a 23-mile road cresting at 11,481 feet. Grand Mesa, Colorado 65 east of Grand Junction and north of Delta. Maroon Bells near Aspen, a classic Colorado view! Independence Pass, Colorado 82 between Twins Lakes and Aspen. Colorado 135 between Crested Butte and Gunnison. Also, try Kebler Pass west of Crested Butte on Gunnison County Road 12. Monarch Pass, US 50 from Salida to Gunnison. Cochetopa Pass between Saguache and Gunnison. Gold Camp Road - Colorado 67 between Divide and Cripple Creek. Lizard Head Pass, Colorado 145 between Dolores and Telluride. Slumgullion Pass, Colorado 149 between Lake City, Creede and South Fork. US 160, Navajo Trail, between Pagosa Springs and Cortez. Platoro Reservoir, south of Del Norte and west of Conejos. Cucharas Pass, Colorado 12, from Trinidad to Walsenburg. CO 103 from Evergreen Parkway west to Echo Lake. McClure Pass - This is a spectacular 8,755-foot pass south of Carbondale along Colorado 133 and the Crystal River. Perhaps the most appealing part of autumn is the gold found in the mountains each year. Not the gold sought by prospectors over a century ago, but rather the gilded glory of Colorado's famous aspen trees. The decrease in sunlight switches off the mechanism in the leaves that creates chlorophyll - the green color in the leaf. As the green fades, the gold color dominates until dying leaf flutters to the ground. The best years for aspen viewing are those with well-timed rains and no major fall storms. A too dry summer will send the leaves falling quickly, while a wet summer tends to make them darken to brown or black. The most brilliant display of aspen occurs when we have a mild late summer and periodic gentle rain, combined with a dry September that includes few big windstorms or early snows. Usually, the first signs of aspen gold begin in mid to late August over the higher forests of central and northern Colorado. By the second and third week of September, many aspen groves are well worth a day's drive. Usually, the peak time to view aspen is around the last weekend of September. After that, early snows will knock down the leaves and others drop away by themselves. Aspen color does not vary nearly as much as the rich reds and purple leaves of the Midwest and East, but there is something about gold leaves against a backdrop of rich evergreen and deep blue sky that makes our fall mountains special indeed! Nothing says "autumn" in Colorado quite like the sight of a mountainside covered in the stunning leafy gold of aspen trees. Colorado's famous high country aspen reliably turn gold from the second week of September through the first week of October. Populus tremuloides - or the quaking aspen - can be found in all eleven of Colorado's national forests and their autumn fireworks are worth the drive. Aspen naturally propagates in areas where hardier trees have been damaged or destroyed. This was the case in Colorado, where the slender trees grew in after logging stripped trees from mountain areas. Characterized by their elaborate root systems, aspen reproduce by sending up suckers from the roots to create "clone" stands of trees. These clones, connected underground at the root, are genetically identical to the mother tree. The identical nature of a clone stand is most obvious in springs, when each tree in the stand leafs at the same time, and in fall, when each tree turns the same shade of gold. 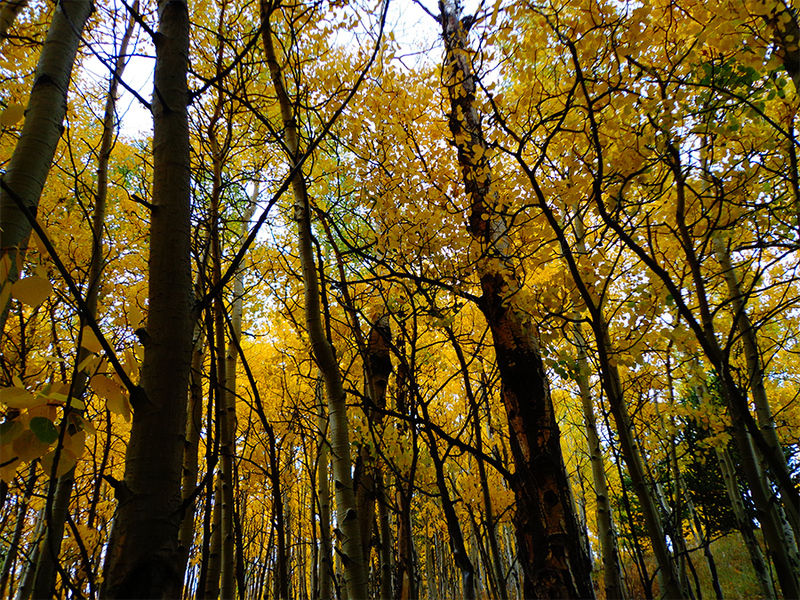 Historically, native tribes used the aspen bark to make medicinal teas to alleviate fever. The inner bark was sometimes eaten raw in the spring, and the outer bark occasionally produces a powder that was used as a sunscreen. Aspen is a favorite of Colorado wildlife too. Beavers use aspen for food and building; elk, moose, and deer eat the twigs and foliage. Other names for quaking aspen are golden aspen, mountain aspen, popple, poplar and trembling poplar. Despite Coloradans' affinity for aspen, these delicate trees are not highly recommended for residential landscaping, especially at lower elevations of the state. Aspen as susceptible to many diseases, their convoluted root systems often grow into sewage drainage systems, and they generally last no longer than about 10 years out of their native habitat.